Doyin Shares How To Travel Almost Free. - GlobeFarers | Travel Tips & Tour Bookings. Any travel blogger or Influencer loves to travel around the world and document the narratives about a particular city. But mostly every traveller wants tips on how to get by on sponsored trips or traveling on a budget. 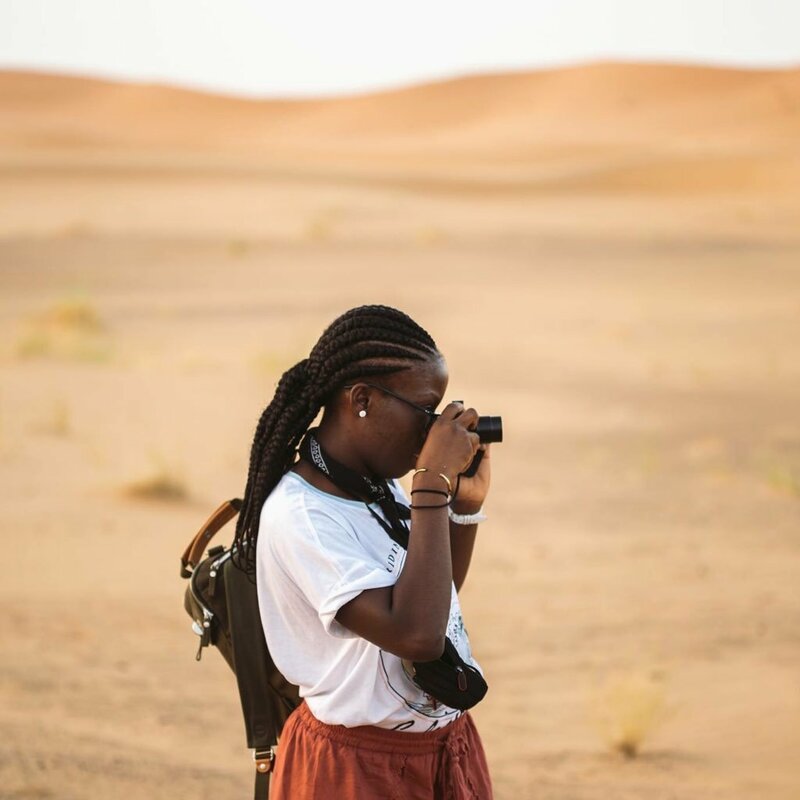 On twitter Doyin, a traveler blogger, recently shared a twitter thread about how to travel almost free, to get by with travel deals, travel apps, travel hacks, travel collaboration, and sponsored travels. If you missed it on twitter, here’s a recap of it all. Doyin started by stating that you have to offer your services. It’s disheartening when crazy talented people limit themselves. So many hotels, airlines, companies, brands and individuals want to collaborate with ordinary people. Doyin thinks that you don’t necessarily need 50K followers on your social media pages to reach this target. Companies are constantly looking for innovative ways to reach their audience. If you own a product, reach out to a hotel you love and offer to run a launch event in their hotel in return for a free stay. If you cook, offer to run a project with the hotel chef and document it on YouTube. Also think outside the box and make sure your proposal is mutually beneficial to the company or brand. You don’t really need 50k followers to land free or sponsored travel. Get an Amex Gold Card! It’s free in the first year[£140 after]. You get 20k points in your first 3 months of membership which is enough for a free return flight to Morocco just for spending your money. Also free airport lounge access & upgrades. As a nomad, or travel enthusiast, work travel is also a way to easily travel around the world. Work travel is a thing, even quite early in your career (just make sure it’s fully funded by your firm). Doyin says “In my previous job I told my manager that I wanted international travel to be a part of my role. I kept bothering him and we made it happen”. When in South East Asia I noticed many Uber drivers were not solely Uber drivers. I always asked for their business card & got them to take me around for a cheaper rate than Uber. You have them at your disposal & can call them whenever, Doyin advised. Try it. We get caught up sometimes, only looking for the big brands. Reach out more to startups for sponsored travel/collaboration offers – you’ll be surprised. Don’t always go to the big names. Wctrips are frequently looking for creatives to create with them on their @wctrips in return for sponsored travel on your trips. If you don’t ask, you don’t get! Traveling For Close To Nothing. Doyin gets so many questions on how she finds cheap cheap flights. Here’s how… She uses flight comparison sites such as @Skyscanner @KAYAK @momondo & Google flights. She doesn’t touch Expedia as they tend to be more expensive. You can also check @Groupon constantly for crazy travel deals! When in crazy expensive cities like London make the most of apps that offer deals & free stuff on entertainment, food & drinks. Here’s a few – Drinki, Cake, Wuntu, Tastecard, Dice. Send through some apps in other countries. Go on a study abroad scheme! The European Erasmus Program offers students an EU grant (on top of your student loan) to help cover living costs. You’ll have disposable income to travel lots. When airlines & travel companies go crazy on deals, Doyin bagged a deal with @Fly_Norwegian to Puerto Rico (return from London) for £270 last year. Cyber Monday – Monday 27th November 2017. Paris for free if you’re under 26. Most museums & landmarks such as The Lourve & Arc De Triomphe provide free entry to EU citizens under 26. Many Parisian museums offer free entry to everyone on the first Sunday of the month. Get to know a city, speak to locals – that’s how you find out about the city hacks.